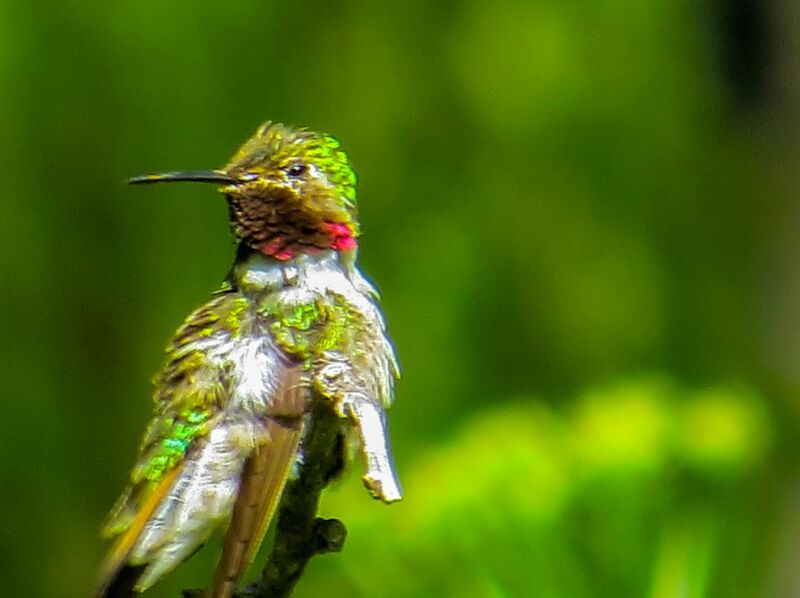 This little hummingbird landed for quite awhile and preened his feathers - obviously a move to impress the ladies during mating season. He had just finished diving and climbing over and over, although we didn't see the female he was trying so hard to impress. Date Uploaded: Oct. 16, 2015, 11:08 p.m.